Burger King has introduced the Burger King Lucky Charms Milkshake. Burger King has introduced several fun milkshakes in the summer of 2017. 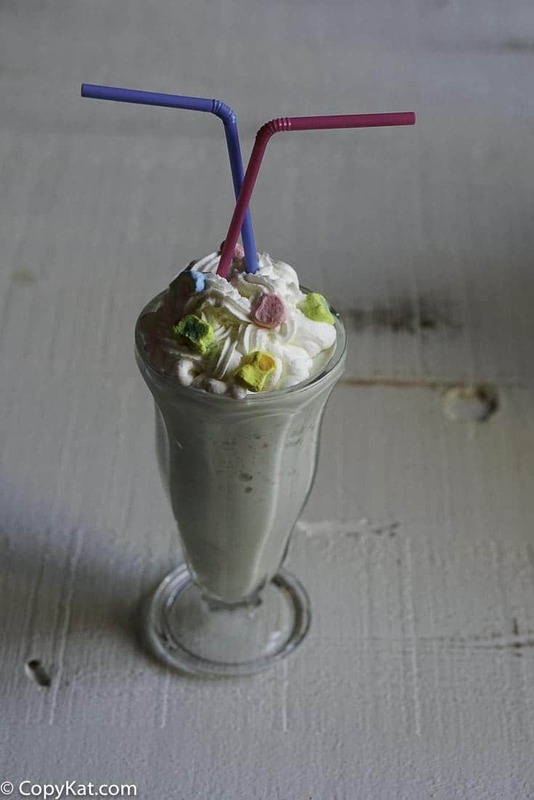 First, there was the Fruit Loop Shake, and now there is the Lucky Charms milkshake. 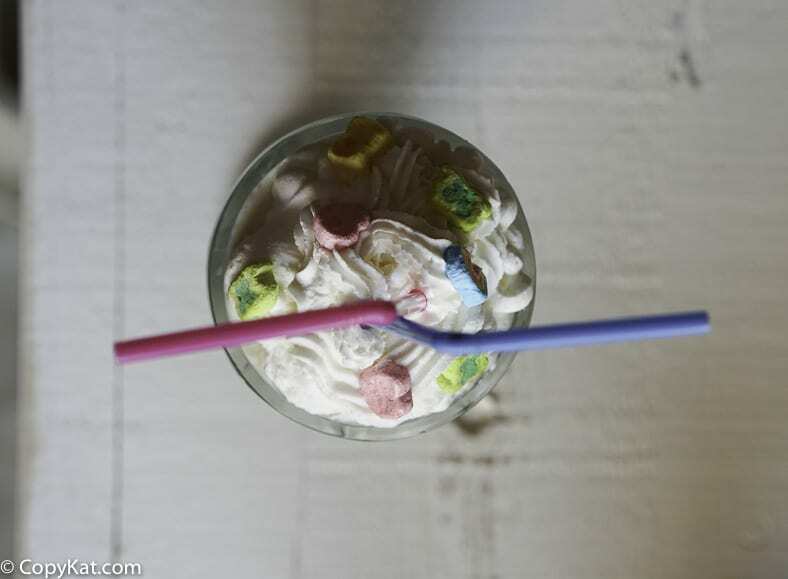 Burger King has had a wave of creative milkshakes with your favorite cereals. Your favorite cereals from childhood taste so good in ice cream. I bet as a child we all wanted to put in ice cream in our cereals. Well, know you can do just that. I love the flavor combination and crunch of the cereal. They look so when poured into your glass. Burger King uses soft serve ice cream. At home, you can use regular vanilla ice cream. This way you can get a premium ice cream. At home, you can put the ice cream in your blender with some milk to make it thinner like a soft serve ice cream. You can recreate the same consistency at home. If you like ice cream treats you should check out some of these special ice cream treats. Cereal never tasted so good. In a blender combine vanilla ice cream, milk, and marshmallow cream in a blender. Blend for about 60 seconds, then toss in the cereal and then pulse the mixture once or twice to just blend the cereal. Top with whipped cream if desired. You may want to top with a few of the marshmallows. That is a full site in a dress for my great possible. I love your copycat recipes ❤️. Thanks so much for giving us the experience and understandings behind them. When you say marshmallow cream are you referring to Fluff in the jar? If not can we melt regular marshmallows down to use?